Or, More Appropriately, Betray, Must Betray! fragments- and your mind cannot register the blows until it’s all over. Yeah, that was me, and man, I was a mess. I have never felt so betrayed (hence the subtitle of the piece) in my life, and I am one who has the ironclad strength and looks the other way. Everyone is scattered all over to end the madness, all have major fall backs and epic fails. Despite all of the heartache and misery, there were some quite uplifting moments. 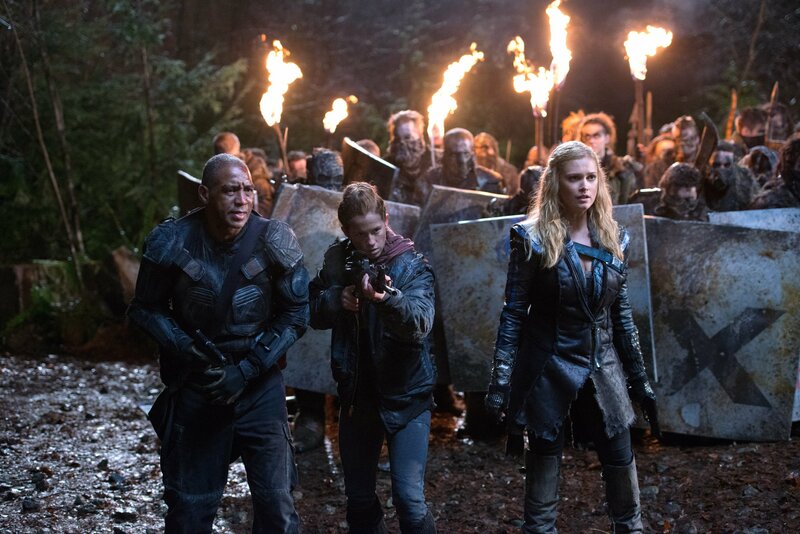 Hey, The 100 cannot all be dark, right? RIGHT? Now, I am a ship neutralist, meaning that I support and respect all ships. Each and every one of them. However, that does not mean that I myself can enjoy a personal favourite. I am talking about Becho of course, and even though their duration was not long (But I am seriously hoping that Bellamy and Echo (Tasya Teles) will meet again), the pairing pulled a few of my heart strings. How could they not? Their first meeting was way endearing, even though Echo did spat in Bellamy’s face because he was a Sky Person, but after the explanation of the alliance, the two became allies. There was some sort of affection between them by facial expressions, and the mere fact that he risked his own life to save hers, and that got me shipping them to the moon. The part one finale starts off with Bellamy pushing himself through the grate and he runs to unlock Echo’s cage. The look she gave him, was one of pure relief, and adoration (well, how I seen it), and he tells her that he did come back for her. He puts Echo down in the cutest and gentlest way possible, although they were indeed rushed. I was literally screaming at my TV that the two would display some sort of affection, but working side by side was fine for me. that Bellamy and Echo will reunite. Guards entered the unit of a middle-aged couple searching for the 44. They know that the couple been denying blood and taking extra food, and the woman said they take the blood when needed, but no food. The one guard, Paul demands where they are hiding them because he sees indications of glass rings on the table (Really? You can tell company’s been there just by that? ), and gives five short seconds to comply. At the last second, Jasper and Maya come through the grates, from where they were hiding, and are arrested on the spot. Okay, was executing the couple necessary? I do not believe that it was, but these guys are cold hearted monsters, and I guess they’re too gun happy. I had to look away from that scene. men distracted, while everything else is going on. There is one small catch, according to inside resource Maya. The Mountain Men believe that the door cannot be opened from the outside, but it can be. The locking system goes out and disengages when the power goes out, and it can be open from the outside, with the help of Raven’s hydrazine. However, the team must act quickly because the backup generator goes on after in one minute. When that happens, then the door locks again. Major Miller asks about taking out the generator, and if Bellamy could do it. Clarke says that if they did, than everyone will be killed, which is not the concept and goal of the mission. 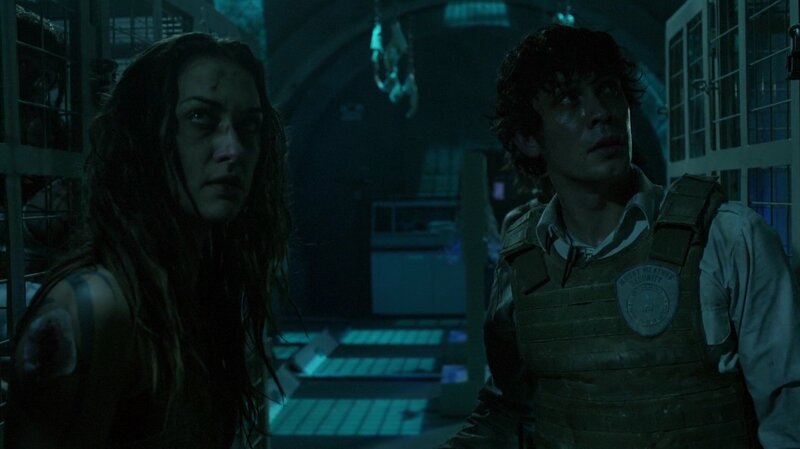 She also said disdainfully, that they lost contact with Bellamy when the acid fog was deactivated. “Bellamy’s a warrior,” Lexa spoke confidently. “He’ll be fine.” Of course, he will be fine. He IS Bellamy after all, and nothing or no one can touch him. Clarke continues on about their activity at the front door, because if the Mountain Men doesn’t keep their attention on the outside army, then the plan flat lines. And we do not want that. When all of the prisoners are safe and sound, then the retreat sounds. The Commander adds her piece that the mountain has kept her people prisoners for too long and the inhumane acts ends today. The mountain will fall thanks to the Sky People/Grounder alliance. The innocents will be spared, and as for the guilty, Jus drein. Jus daun! (Blood, must have blood!) That will be forever implanted in my head, just because it can be so powerful, even though it isn’t ideal. And quite repetitive in a good way. Its wartime folks, and you do what you have to do in order to survive. Soon, the entire tent (Not Lincoln) is joining in on the chant, and pretty soon, Clarke adds in to the excitement. You go girls, and do it well. the one who made the shot, and comes in from the air ducts. He’s getting quite good at crawling through cramped spaces, and arriving at the right time. Another guard comes forward, and Miller strangles him so he won’t do any damage. Miller (for the moment) is alright, and thank God too, because Miller is important. We all need Miller. Jasper is frantic though about brother Monty, but Vincent assures him that Monty is already safe. 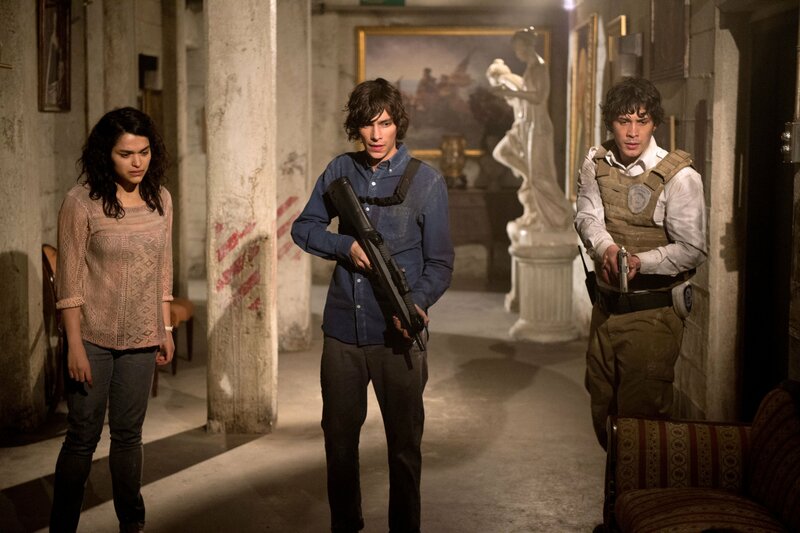 Bellamy is about to leave once again, but Jasper snaps himself along, and so does Maya. “Your mother would be so proud,” Vincent tells her solemnly in the eye. Why do I get the feeling that something devastating is going to occur? It was a very sentimental father/daughter moment, and I was crying myself. Her dad tells her that he will see her soon, and they embrace in a hug. He watches Maya leave with the boys, and hopes that this will all be over soon. Little does he know that this is not going to end very pleasantly. he won’t be saved. More shooting happens when the ARK guards open fire at the Reapers, and Indra screams that the Reapers ARE not the enemy. Then, a wave of Reapers appear from the shadows ready to attack, but Jackson saves the day by using the tone generators to wheel them off. Whoo-hoo! Jackson seems like such an easy going guy, so this was indeed quite the surprise. In the mist of the chaos, he instructs everyone to tranquilize them. Indra just so happens to recognizes one of the Reapers, and is crestfallen. Octavia comforts her, saying that Abby will make him all better and strong again. With her sword bestowed, Indra and the group descend even more into the dark caves. At the main door, Monroe is drilling away a good-sized hole where the hydrazine can be placed. However, Major Miller is shaking, but Lincoln comes to the rescue and helps him with kind and empowering words that he should do it for his son, and Major Miller has new confidence and sets the bomb. This mountain has taken away too much from everyone, and it is going to end NOW. Next up. Raven and Wick are at the dams, setting up the bombs, but the two have personal tensions. I am thinking that Wick really loves Raven, but is A. Too stubborn to admit/show it or B. You can’t let your true feelings out in the midst of a crisis. They get into a spiced up argument about joking and liking one another before they slept together. Ouch! Our poor Raven is so hurt, and I just want to slap Wick, but at the same time he has a point. a wrench and whacks the dude dead. He is shocked. He is stricken, and in pure disbelief. The expression on his face says it all. “Welcome to the ground,” Raven spoke softly. During the tackle, one of the bombs breaks, and if only four of the five turbines blows, the power stays on, the door stays locked, and everyone dies. Whew! What a load of unwanted pressure, and now the two of them must hatch a new plan in order to succeed. “You already have.” Cage is crushed by his father’s words, but he is too cool of a guy to show it. He is leaving the cell, but Dante stops him, perhaps with a strategy to save themselves. Yeah, at the end someone is going to be a sacrifice. Raven and Wick are arguing again about not having enough bombs, and she is trying to make do. During the feud, Wick goes on about the ‘Engineer Law’ and Raven gets inspired about redundancy. There are more turbines than necessary and they just need to disable two. To my utter amazement, I understood this, as I have no prior engineer experience. So, quickly, Wick does this while saying a funny little one-liner, but the guards approached and they’re caught. Uh oh. Yet, they back away, acting perfectly innocent, which I had to admit, was a little hilarious. And you know there is going to be a ‘boom’ when there is Raven around. So, there is a boom, as the last of the turbines implode and the nasty guards are engulfed in flames. It was a complete success on Raven and Wick’s part, and I was so glad that they got it accomplished. Whoo! . 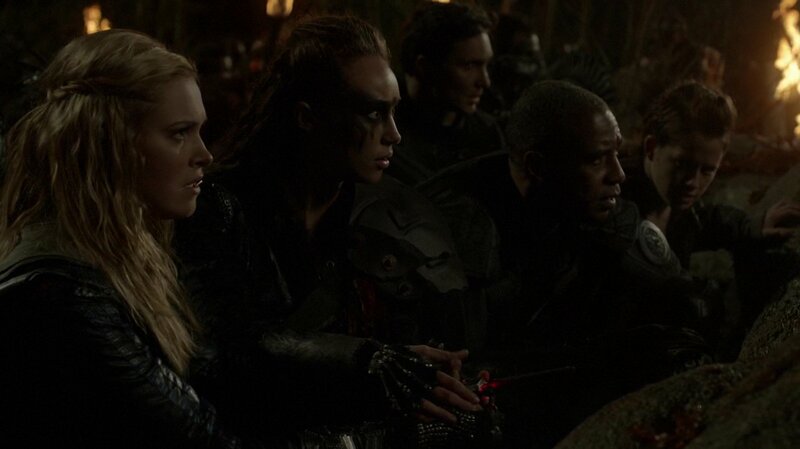 Clarke is growing impatient about the timing, but Monroe and Lexa consoles her. She then asks Clarke what she wants after all of this is over. Clarke wants nothing, but her people back. 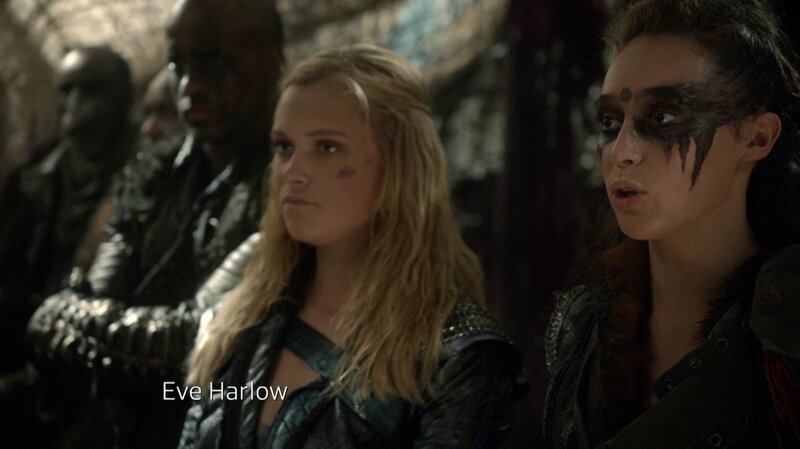 Lexa offers a request to her to come to Polis, the Capital, but Clarke politely refuses, stating that her opinions about Lexa’s people are already concrete. Yet, I believe that Lexa wanted to take Clarke on a romantic getaway, and it probably feels like she got punched in the heart when she’s turned down. Yet, Lexa pulls through with the plan, never showing how she truly felt. Oh, Lexa. It doesn’t hurt to become emotional. The lights flickered off in the mountain, and the door is now unlocked. They have one minute to open the door, which has not been for nearly one hundred years. “For those we lost,” Clarke says to Lexa, looking into her eyes. “And those we are about to find,” added Lexa and places her hand over Clarke to press the remote button with her. Cage is jamming them naturally, so Clarke has to move closer. Gunfire emerges once again and while everyone is trying to fight for their own lives, Clexa and Sargent Miller are still quite determined to open the door. Miller is willing to put his life on the line for his son, as Abby would do for her daughter, as any devoted parent would. He is shielded by Grounders to get to the front door, but they’re shot down. With only five seconds left, Lincoln arches an arrow of fire straight to the door, and makes the bull’s eye. Both women are overjoyed, and Lexa runs to take down the shooters at the ridge. sneaking their way around things. With the thirty minute window before the radiation seeps in, everyone has to go to level five. They all acknowledged that Maya cannot go to that level due to her revolutionary activities. She will get killed for her treachery, and Jasper will get her a hazmat suit with extra oxygen until the power kicks back on again. This isn’t enough because Maya knows that Cage will not let her reside, let alone live in Mount Weather. 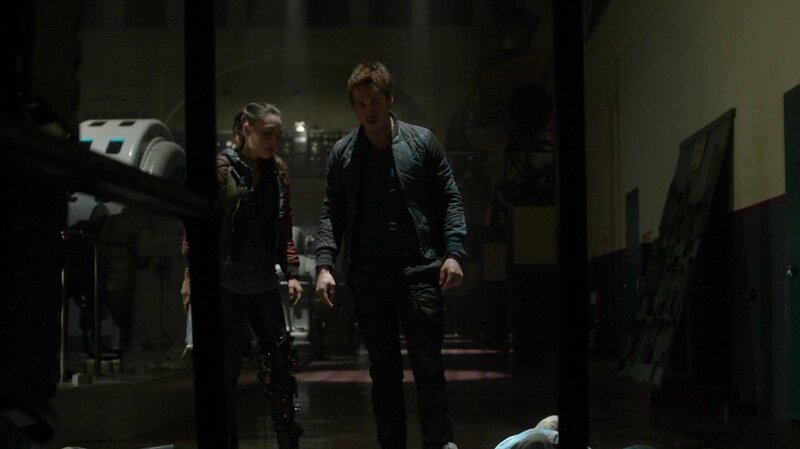 So, Jasper and Bellamy will kill Cage, and that is a good thing because he cannot go on with his monstrosity. As the three continue slinking through the halls, keeping their eyes and ears open, they hear a ‘thump.’ Prepping for battlement with guards, they are bewildered when Mrs. Ryan, one of the people who helped the kids, is shot dead. As if by magic, Monty appears from the wall, and is obviously beside himself. The mountain knows about the Grounders, and the Harvest Chamber. Bellamy is now very concerned (Maybe for Echo, too? ), because if they (Mountain Men) take over the chamber, then it is really over. Octavia has seek out the entrance passage of the mountain in the mines without the aid of Lincoln. I’d like to think he was with her in spirit-after all, it was his map that they used. Indra is no doubt proud of her, and I am sure Lincoln would be too. Indra accepts her as one of the Tree Kru and tells Octavia this. Yay Octavia! This is what you wanted all along, and you’ve proven yourself exceptionally well. Now, here comes the cruel betrayal and disloyalty for every member of the Ark. I will tell you guys this: my heart shattered for everyone effected. First things first, Sergeant Miller is alright and unharmed. What a relief! Lincoln leads two lines of warriors to pull open the door, and when it opens, Clarke orders an attack. However, the side door slides open, and a slew of Grounders from the chamber, still in the white garments, slip out. 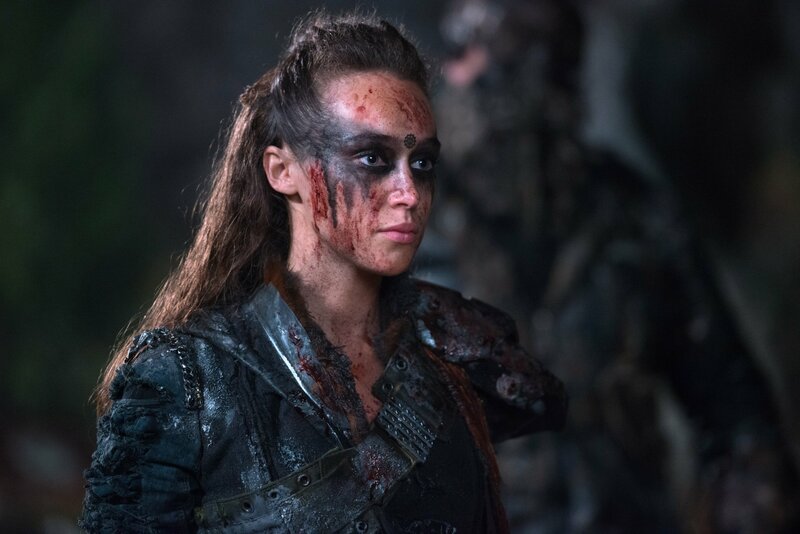 Clarke is clearly mixed up by the twist of events, and Lexa, with a bloodied face comes down from the ridge with Emerson, who has the term, ‘evil’ painted across his face. Turns out that Lexa accepted a deal with Cage and his father that her people will be free, and they will no longer harm them. The prisoners from the Ark will be the ones that will be sacrificed, as they were not part of the deal. What the hell happened? 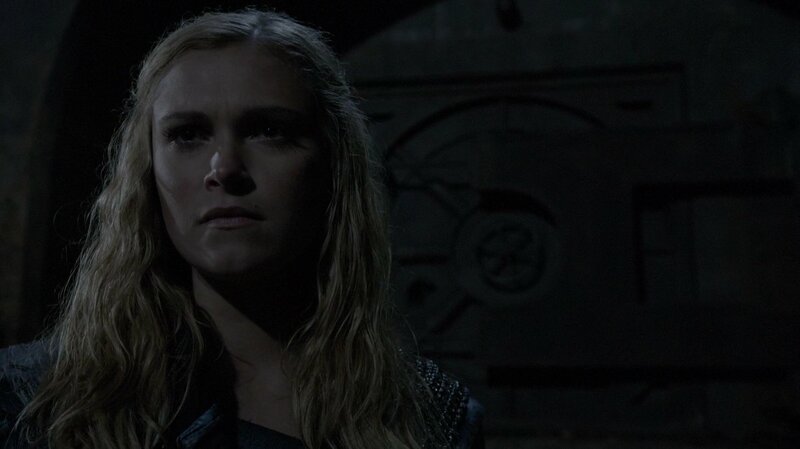 Clarke is crushed, and betrayed because the deal between the two leaders was to SAVE all of their people. Not just one party. Lexa, how could you? How bloody could you? How can you betrayed the one person you cared about? I know you have your duty of protecting your people, the whole head and not my heart crap, but you could have meet your end of the bargain. Lincoln wants to fight for the Arkers, but no. Another betrayal occurs when Lexa orders the warriors to drag him off. Okay, now I am seethed, and that Lexa probably manipulated Clarke and her people all along for her own benefit. Took complete advantage, and now is seeping in the rewards, while Clarke is left out in the cold. Lexa never cared about the Sky People, and I am starting to wonder now if Finn’s death was done for nothing. Yet, I am not going into depth about that. The retreat sounds off, and the warriors start to descend, and everyone has pretty much given up at this point. “May we meet again,” Lexa says slyly, and with a dead look in her black eyes. To be honest, I do not care if I ever see her again. Up until now, Lexa seemed like a great, if cold hearted gal. She is simply cold-hearted, a liar, a manipulator, a betrayer, and a traitor. There are other terms and labels I’d love to use, but they’re inappropriate, so use your imaginations to fill in the blanks. She turns her heel and simply vanishes. I am crying for Clarke, and her people. They are still in the hellhole, and they are about to be slaughtered. Again, Lexa, HOW COULD YOU?! but O refuses. She is not leaving with her brother. 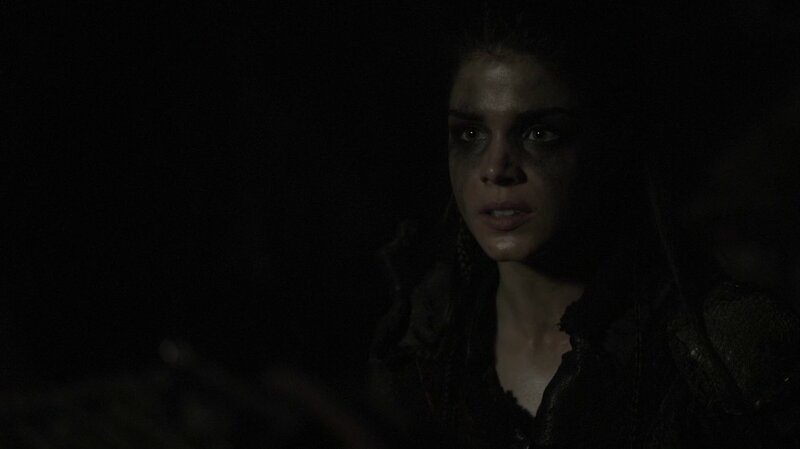 Good call Octavia, even though Indra cut you off from the Grounders. Jackson tells her to go home with them, but she says, she has no home. Oh, O. Wherever Bellamy is, that will be home. Family is always your home. In the Harvest Chamber, Maya discovers and is in absolute tears because the guards shot her father. He gave up his life for her. My heart plummeted to my gut. More so, there are no Grounders, not even Echo, whom we seen earlier leaving the compounds. Nobody knows what to think or what to say. At the end, Clarke is still at the main door, disbelieving that it is over. Hey, she is Clarke, and she always finds a way to help her people. Wednesday will be the finale finale. From what the photos and trailer depict, it is going to be unimaginable brutal.